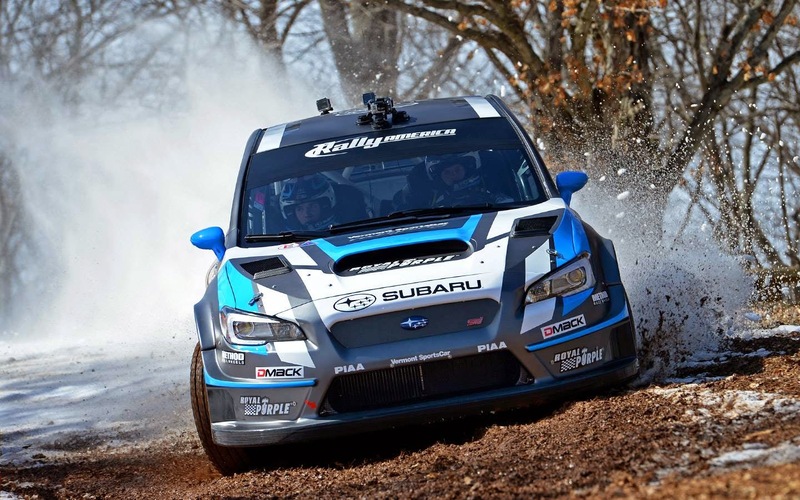 Salem, MO., March 2, 2015 / Subaru Rally Team USA driver David Higgins and co-driver Craig Drew took their second straight win of the 2015 Rally America Championship season driving their new 2015 Open class Subaru WRX STI to victory at a snow and ice laden Rally in the 100 Acre Wood. We had anticipated this years 100AW to be another great battle between Ford driver Ken Block, who has driven to victory no less than seven times in the Ozark foothills and Subaru’s Higgins. But unfortunately the battle did not materialize as Block withdraw from the rally just a few days before the event. Block has typically done well on this event when the high-speed stages are not covered with snow and ice. But in 2012 Block has a big off while leading the rally on day one, although he was able to limp off the stage it ended his victory streak, perhaps memories of that off may have prompted the teams withdrawal with the looming wintry icy forecast. The relatively light snow that had blanked the area in the days leading up to the Salem, Missouri based event turned to ice as the teams did their pre event recce. Once again The Rally in the 100aw would have teams rolling the dice taking their best bet as to what would be the optimal tire for the treacherous mix of snow and ice. Off the line on day one it would come as no surprise to anyone that David Higgins and Team Subaru USA were going to dominate in their newly developed wide track Subaru STI. 2015 has gotten off to a troubling start for FY Racings Adam Yeoman and Jordan Schulze, after setting some top times on the opening stages, the team would once again retire with mechanical problems. This would be the second retirement for the team in this only the second round of the 2015 Championship. As FY racing planed to contest the entire season, they were the only possible contender to to get in Higgins way of yet another title. With Yeoman sidelined, David Sterckx and his imported Irish co-driver Stephen Quinn would slip into second behind Higgins, a position they would not give up throughout the rally. The up and coming Polish / American team of Peter Fetela and Dominik Jozwiak excelled in the extreme conditions, holding off a hard charge from Brenten Kelly and Niall Burns for the final overall podium position, both Fetela and Kelly were driving Subaru’s. 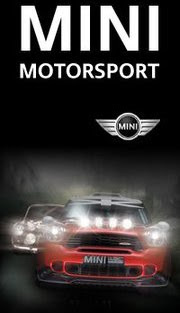 Higgins and Drew masterfully handled the conditions and dominated the rally, by winning all but one stage. A spin on an extremely icy section of road during the second day cost the duo some time, and the stage win, but they had already accumulated a sizable gap to their pursuing rivals, going on to win by over five minutes. In super production, it was a great result for Doctor Garry Gill and co driver Stephen Kurey, the team had the right prescription for the wintery conditions. In 2WD, we would see even the most experienced winter drivers get caught out by the icy conditions, defending Rally America 2WD Champions, Andrew Comri-Picard and Ole Holter would connect with a tree busting a tie rod end as a result, despite a valiant by Picard to repair the Ford Performance Fiesta R2 the team were forced to retire on day one. They would return to the rally on day two under super rally rules, but the podium train was already well out of the station. 100AW would mark a first overall victory for Cameron Steely and Preston Osborn also in a Ford Fiesta. Taking into consideration the conditions, Steely margin of victory was slim as he just had a 30 second margin over Troy Miller and Steven Harrell in second. James Robinson and co-driver Brian Penza would brake up an all Ford podium placing their B-Spec 2015 Honda Fit in third. This was a remarkable result for the showroom stock Honda. The Rally America train heads west next to The Oregon Trails Rally. Check in with www.rally-america.com for more info as the event approaches.